THE HIGH COURT discharged a care order in relation to Samantha Azzopardi this morning and the Australian woman will now be moved into the HSE’s adult mental health care services. The case came before the courts again this morning after the Australian citizen was positively identified by Gardaí earlier this week. Before the case was heard this morning, Gerard O’Brien, who is a representative of Azzopardi’s guardian ad litem, Orla Ryan, said that Ryan “remains very concerned about this young lady” and that Azzopardi was “very isolated” although she did have some contact with people here. In court, Senior Counsel Tim O’Leary, acting for the HSE, said that a report found that Azzopardi was not suffering from a disorder under the Mental Health Act 2001, but she does have a “condition that makes her vulnerable”. Due to this, she is not suitable for detention under the Mental Health Act 2001. She will be looked after by the adult psychiatric services of the HSE and supports will be available to her in the community and potentially through the gardaí. Justice George Bermingham noted that when the case first came before the court, “everybody believed we were dealing with a minor” and worked on the assumption that she was a victim of trafficking. He told the court that though the circumstances had changed, “this doesn’t mean that the proceedings weren’t worthwhile”. In discharging the interim orders today, Judge Birmingham said that what emerged after Azzopardi was identified “came as a shock to everyone”. Judge Bermingham was told in court that the guardian ad litem believes that Azzopardi should be dealt with by adult services in the HSE. Although she remains at a HSE facility, she is taking up an acute bed so it is understood she will be moved to community care shortly. 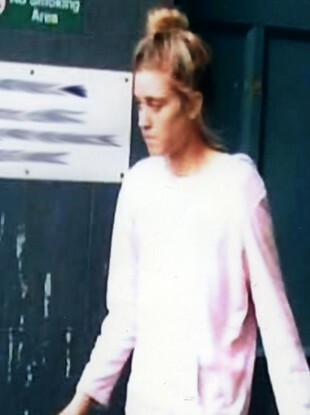 Samantha Azzopardi, who is in her 20s, has been in the care of the HSE since she was found on 10 October and was unable to tell Gardaí or healthcare workers who she was or where she had come from. A High Court judge yesterday discharged the order to detain Azzopardi under the Childcare Act, but delayed its implementation until today to allow for alternative arrangements to be made for her care. The court heard yesterday that she was still in a vulnerable state and removing the order could “put her life at risk”. Email “GPO girl moving into HSE adult mental health care”. Feedback on “GPO girl moving into HSE adult mental health care”.